#1 INTERNATIONALLY BESTSELLING AUTHOR VINCE FLYNN DELIVERS THE YOUNG, HUNGRY, AND LETHAL MITCH RAPP AT THE ONSET OF HIS CAREER AS A CIA SUPERAGENT. In the year since the CIA trained and then unleashed him, Mitch Rapp has been steadily working his way through a list of men, bullet by bullet. With each swift and untraceable kill, the tangled network of monsters responsible for the slaughter of 270 civilians in the Pan Am Lockerbie attack become increasingly aware that someone is hunting them. Rapp is given his next target, and finds the man asleep in his bed in Paris. In the split second it takes the bullet to leave Rapp’s silenced pistol, the trap is sprung and he finds himself in the fight of his life. The next morning, nine bodies are discovered in one of Paris’s finest hotels—among them the Libyan oil minister. Back in Washington the finger-pointing begins in earnest as no one wants any part in what has become an international crisis and potential embarrassment for the CIA. Rapp’s handlers have only one choice—deny any responsibility for the incident and pray that their newest secret weapon stays that way. Rapp must avoid capture or die quietly. One person in the group, however, is not prone to leaving such important things to chance. Rapp has become a liability, and Stan Hurley will not allow Rapp to be taken alive by the French authorities, even if it means killing him. Operating on his own and outside the control of his handlers, it will soon become clear that nothing is more dangerous than a wounded and cornered Mitch Rapp. 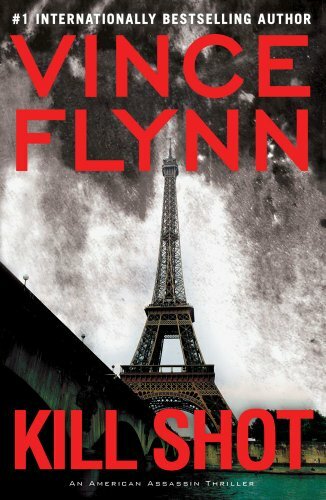 In Flynn’s newest page-turner, the stakes are higher than they’ve ever been as Mitch Rapp embarks on the journey that will turn him into America’s most deadly asset. The nonstop action in this shockingly realistic political thriller will keep your pulse pounding till the very end.